For those of you who are cutting down on the fats, you'll be pleased to know that the broth for this soup is mostly water, as I use only about 1/4 cup of coconut milk. All the flavor comes from the herbs, spices, and chicken. Yes, it's not diet food, but it sure tastes great! 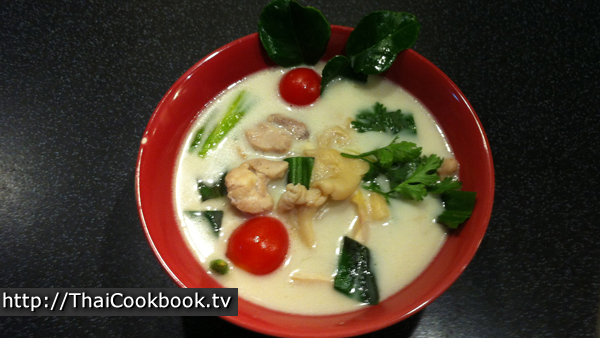 What's in our Chicken and Galangal Coconut Soup. 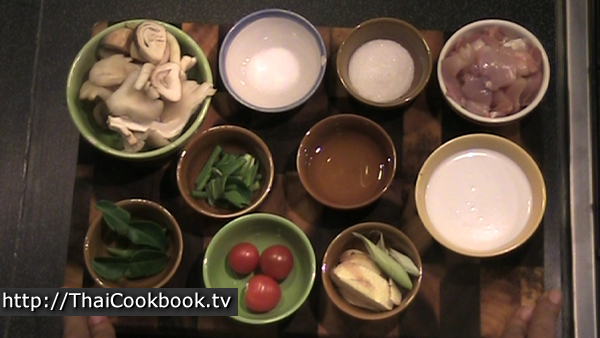 How we make our Chicken and Galangal Coconut Soup. 1) Heat coconut milk in a small pot. Add the chicken, stir in well, and bring it to a boil. Reduce heat and simmer for 2 - 3 minutes. 2) Add 1 cup of water, and bring the soup back up to a boil. 3) Add galangal, lemongrass, onion, sugar, and salt. Stir in well and bring back to a boil. 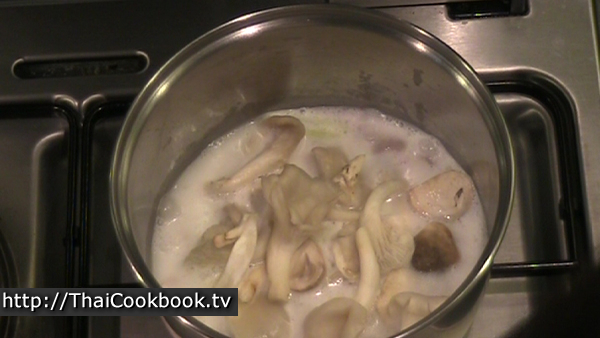 4) Add mushrooms, then bring back to a boil and cook for 2 minutes. 5) Add tomatoes, kaffir lime leaves, culantro, and lime juice. Stir well and boil for 30 seconds, then it's done. Remove the skin and bone from about 2 chicken thighs. Cut them into bite sized pieces. Clean and wash straw mushrooms, then cut them in half. This recipe uses Culantro. If Culantro is not available, you can use coriander. Cut the Culantro leaves into 1 inch pieces. You need about 10 - 12 pieces. Cut the galangal into thin slices. Cut the lemongrass into 2 - 3 pieces, then smash them a little with a mallet, pestle, or a heavy knife, just enough to break up the fibers a little. Measure the rest of the ingredients and assemble them for easy access. 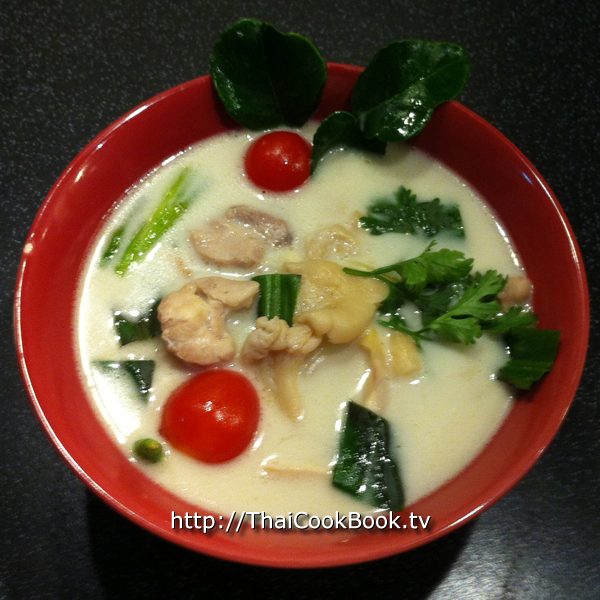 Heat the coconut milk in a small pan or pot. Add the chicken, stir in well, and bring it to a boil. 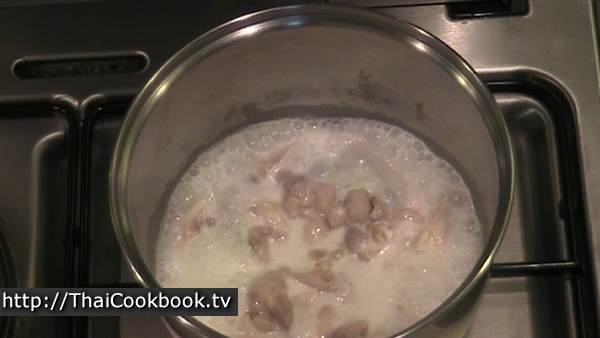 Cook the chicken in the coconut milk for about 2 - 3 minutes. Add 1 cup of water, and bring the soup back up to a boil. Add the galangal, lemongrass, onion, sugar, and salt. Stir in well and bring back to a boil. Add the mushroom, then bring back to a boil and cook for 2 minutes. Add the tomatoes, kaffir lime leaves, culantro, and lime juice. Stir well and boil for 30 seconds, then it's done. Serve in a nice bowl that has a contrasting color. Use only enough soup to partially fill the bowl, allowing the ingredients to stick out above the top. Float some chicken pieces, the tomatoes, and a few mushroom so they can be seen and look delicious. 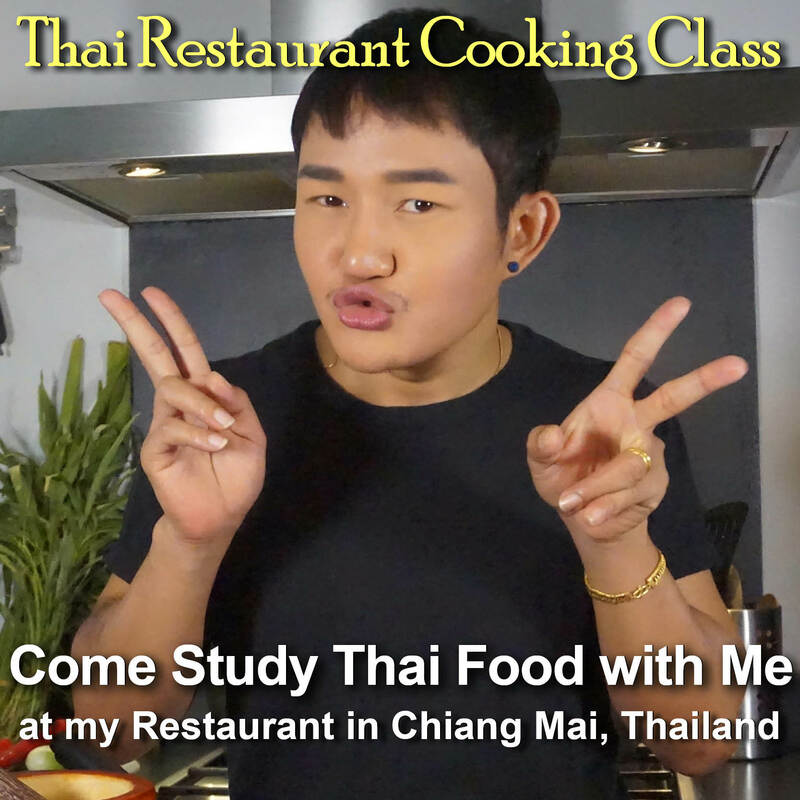 Garnish with kaffir lime leaves, culantro leaves, and coriander leaves. 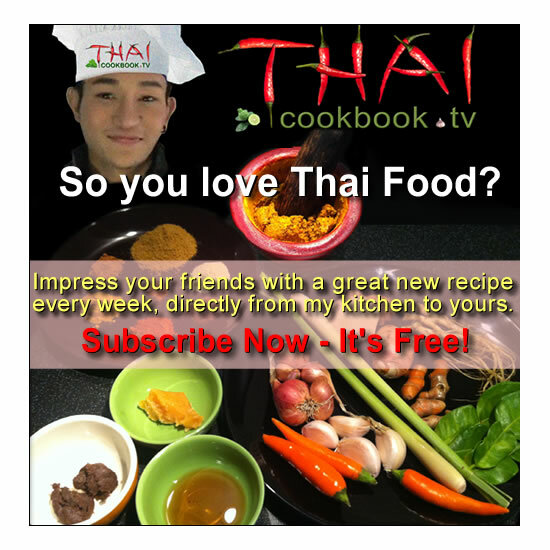 Thai soups are normally shared dishes and each person should be served some steamed white rice on a small plate.